Provide comfort for the family of Anita Ward with a meaningful gesture of sympathy. Anita K. (Arbuckle) Ward, 60, of Greenwood, IN passed away Tuesday, March 12, 2019 at Community Hospital South in Indianapolis, IN. She was born June 11, 1958 in Franklin, IN to Melvin French Arbuckle and Margaret Ethel (Wood) Arbuckle. She married James Keith Ward on August 28, 1993 in Greenwood, IN, he survives. Anita was a 1976 graduate of Center Grove High School. She had been an activities director at Regency Place in Greenwood, IN, a nurse’s aide at Franklin United Methodist Community in Franklin, IN, an assistant manager at Einstein Bagels in Greenwood, IN. She was a member of Smith Valley Baptist Church. She enjoyed reading and spending time with her family. Survivors include her husband James Keith Ward of Greenwood, IN; her daughter Shelby D. Ward; her son James Phillip Ward of Greenwood, IN; mother-in-law and father-in- law Earl and Sally (Bonebright) Ward of Greenwood, IN; brother-in-law and sister-in-law Steven E. and Sharon Ward of Greenwood, IN; nieces Mary Gibson (Chip) of Greenwood, IN and Rachel Ward of Greenwood, IN; and a nephew Joseph Ward of Greenwood, IN. A time of gathering and celebrating the life of Anita K. Ward will take place on Saturday, June 8, 2019 from 2PM till 6 PM at the Smith Valley Baptist Church, 4682 West Smith Valley Road, Greenwood, IN, 46142. A private family inurnment was in Mt. Pleasant Cemetery in Greenwood, IN. In lieu of flowers, the family request memorial contributions be made in Anita Ward’s memory for a designated group at a later date to be decided by her family, checks made payable to James Keith Ward and can be given at the church or mailed to 300 South Morton Street, Franklin, IN, 46131. Swartz Family Church and Chapel – Funeral and Cremation Services in Greenwood, IN is handling the arrangements. Online condolences may be sent to the family at www.swartzmortuary.com. Information at 317-881-0202. 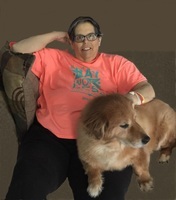 A time of gathering and celebrating the life of Anita K. Ward will take place on Saturday, June 8, 2019 from 2PM till 6 PM at the Smith Valley Baptist Church, 4682 West Smith Valley Road, Greenwood, IN, 46142. A private family inurnment was in Mt. Pleasant Cemetery in Greenwood, IN. Provide comfort for the family of Anita K. Ward (Arbuckle) by sending flowers. My family and I send our prayers and thoughts to you. Anita was a wonderful woman, wife and mother. I was very saddened to hear of her passing.